This superior high torque transmission is the most appropriate for the spindle of a machine tool. Excellent flexibility allows eccentricity, and angular misalignment and vibration to be accepted. It has electrical insulation. Resistance value: not less than 2 MΩ. 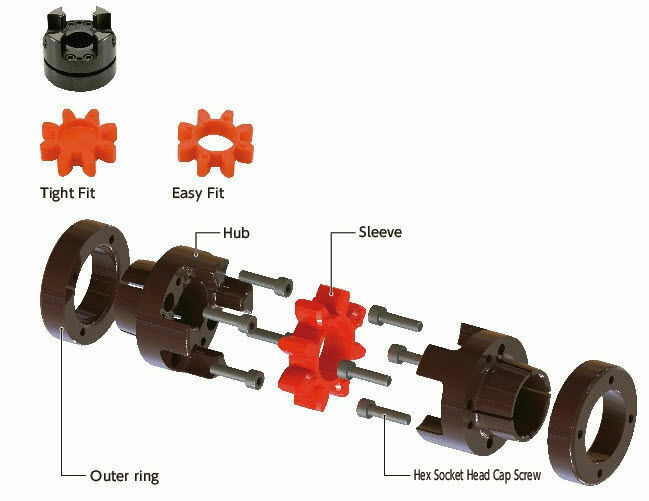 Since the sleeve's vibration absorption can raise the gain of a servomotor, tight fit can achieve high responsive operation exceeding the Disk coupling.